Download BlueStacks N Offline Installer loaded with Android N Nougat and Root it. BlueStacks Android N is here powered with the latest Android Nougat Beta Download Here. 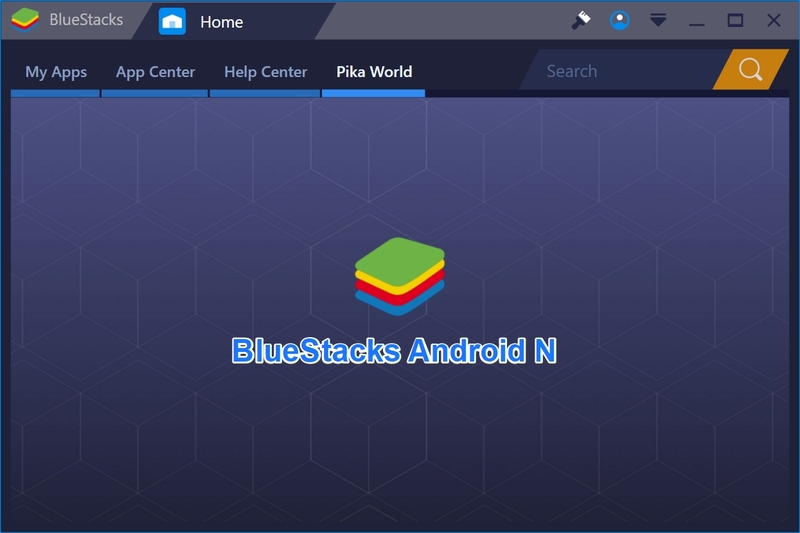 The latest BlueStacks N is here. Which is loaded with the latest version of Android N Nougat. So you can call it the BlueStacks Android N. This is currently in beta stages and as stated by slashgear isn’t yet stable. But still its much faster and smoother then all previous versions of this famous Android Apps emulator player. I have just updated the latest player on my PC and found it quite stable and can run most of my favorite games smoothly. 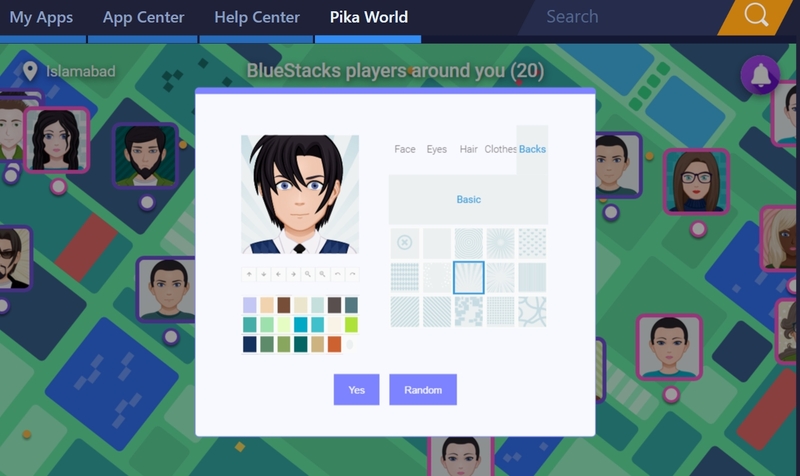 There isn’t any new UI changes in this version of Bluestacks as compared to a whole overhaul of the previous BlueStacks 3 from its older version BlueStacks 2. However the New features added in this version of BlueStacks Android N is the new tab named Pika World. It allows users to create their own Avatar at the start and a whole new experience for the users. Previously the BlueStacks were based on Android KitKat which used to be the Android 4.4.4, so most players can’t open the latest Android apps and games on this Android emulator, no matter they are using it on their PC running Windows OS or Apple Mac. Moving to Android N opens up a whole new world of Android content to enjoy in the comfort of desktops or laptops. The beta also updates BlueStack’s latest HyperG Graphics System to make games run smoother and faster, in addition to the improvements brought by Android N itself. You can now easily download and install BlueStacks Android N on your PC running Windows 10, 8.1, 8 , 7 or even the older Windows XP. The app also supports Mac OS and can be downloaded on any Macbook or iMac computer using these download links given below. 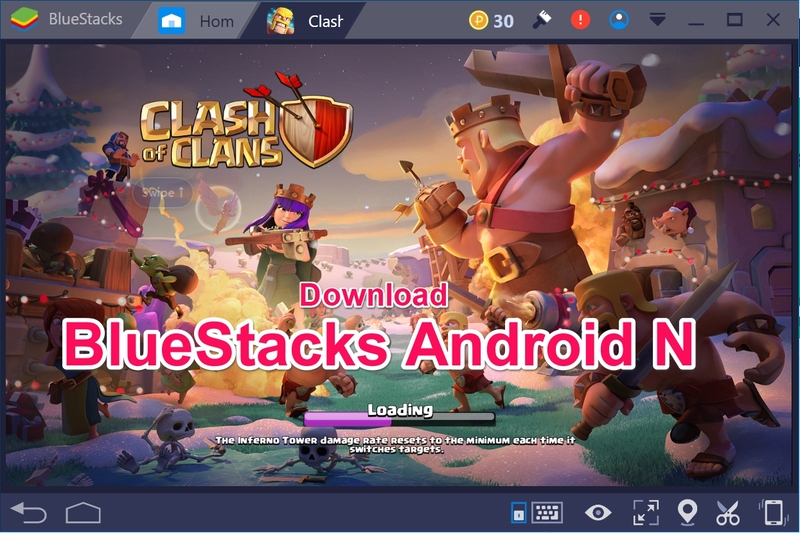 These are the main features of BlueStacks Android N Apps and games emulator which makes it superior to other 3rd party Android emulator players. There are many other main features as the new BlueStacks N app player has the option to better integrate device camera, especially using modern day laptops. Also it can support Mouse+ Keyborad along with PC Mic to allow run all types of social media apps and messenger on PC Windows 10, 8, 7 or XP. To download this BlueStacks N app player using the offline installer, is much easier now as compared to the previous 2 versions of the app. Where most of the users stuck on that ugly downloading screen and nothing happens after that. Follow these steps to download the latest version of BlueStacks N Beta for Windows 10. Download the BlueStacks N link from here. [ Download for Windows ] File Size: 373 MB. Make sure to grab the official version of the app according to your System specs, i.e 64 bit or 32 bit versions. Once done simply Install it on your PC. Installing it on official C:\Program Files folder will be better for other apps to be installed in the same directory. Once done simply Open the BlueStacks Android N beta app. If you have IDM (internet download manager) installed on your PC you will get this prompt up message. All you have to do now is setup your Google account, in most cases sign in with Google account credentials and here you go. You have the BlueStacks home screen available right infront of you with Top best Android games that you can now run on PC computers. Once the BlueStacks Android Nougat app player is installed and setup with the Google account. Now its time to simply Root it. This will add more power to the app player along-with the options to download the root hungry apps and games. Before moving forward, there are two tools that are needed to Root BlueStacks N app player. 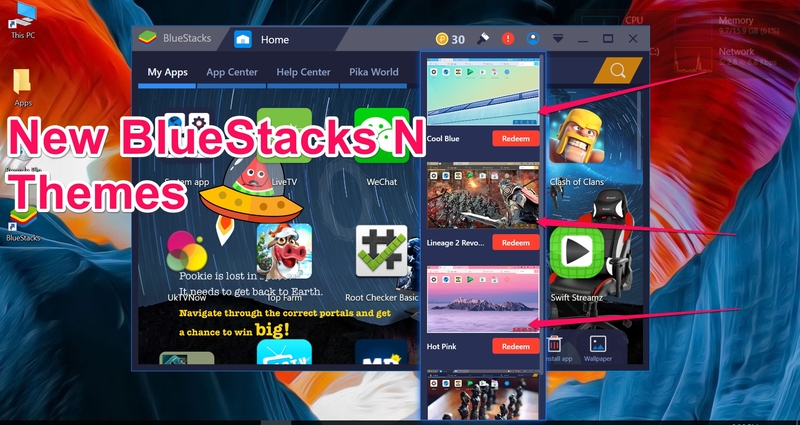 Once you have got these two tools you need to follow this step by step guide to root BlueStacks 3 simple and easy. Step1:- First of all run this downloaded BSTweaker 2 *.exe file by rightclicking and selecting “Run as Admin”. Step 2:- It will take some time to complete the process in some cases so wait till it completes. Step 3:- Once done, simply install the SuperSU v2.82 which you have downloaded above, in to your Bluestacks 3 app player to get the root access. Step 4:- Congrats, your BlueStacks Android N is now Rooted. To check the Root privileges in your Bluestacks app player, Download the Root checker app from play-store. Now you have successfully downloaded installed and Rooted your BlueStacks N App player on your PC Windows 10. Once you have BlueStacks app player installed you can have these best TV streaming apps installed on your BlueStacks Nougat Beta. This is still the Beta version, updates will be made available soon.